Back at the end of March, I got an invitation to join the most incredible project by Ozzo Photography I have experienced in my photography career. 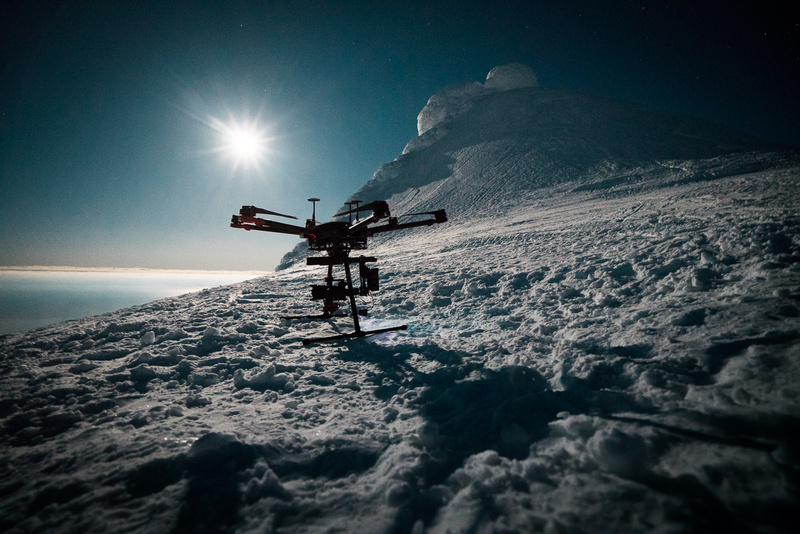 The goal of the project was to fly a drone over the top of the iconic Snæfellsjökull in Iceland. Snæfellsjökull is the largest mountain in the Snæfellsnes peninsula and is actually an old volcano covered by a glacier. According to the world famous French writer Jules Verne, this is where you will find the entrance to the center of the Earth. 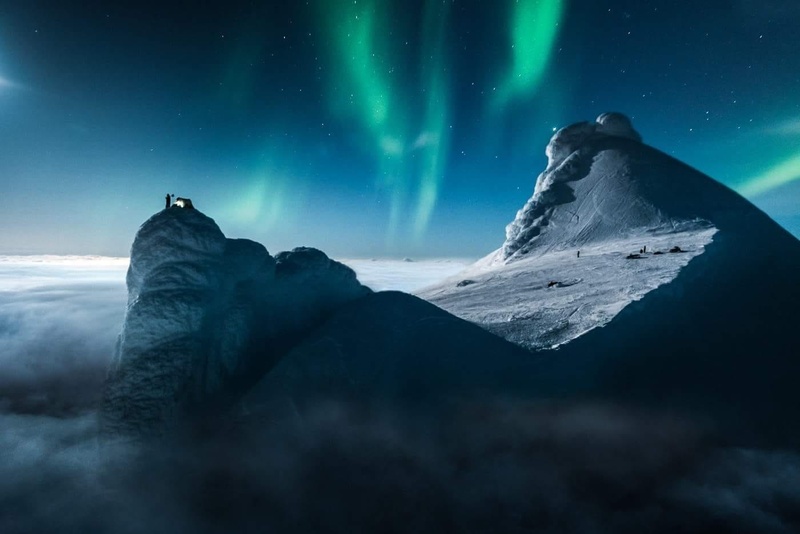 Bathed in moonlight with the dancing auroras around, I got to model on top of the mountain. In the above video, you can see how the project turned out. Photo by Ozzo Photography. A final image from the project. Ozzo Photography has been involved in several projects by BBC. Among other, he has made footage for Blue Planet 2. Olí wanted an artist name that people would remember and one that could grow beyond a common name. As O is the first letter of his name and Z is not a part of the Icelandic alphabet, they were something special. He then decided to mirror the words and Ozzo was born. Ozzo has, as many other photographers, tried all kinds of photography: everything from weddings, portraits, products, and landscape photography have been covered. Landscapes are what he kept returning to. He told me: "I started out taking a license for flying planes already at 16, which made me able to fly a plane above Reykjavik before I could legally drive a car." Landscapes came in at an early age. He started out taking a license for flying small planes. From the plane, the beautiful Icelandic landscapes came even more to life, and it did not take long for him to grab the camera. From the window of the plane, Olí had a front row seat to some of the most beautiful landscapes in the world even before most of us had heard about Iceland. The DJI Matrice 600. Photo by Ozzo. With the technological development of drones, which were only seen as toys back in the days with the first DJI Phantom, it was very natural for Ozzo to try to attach a camera to a drone. With the combination of the drone and a small Canon Ixus camera, he was able to get photos of Iceland from a completely new and unique perspective. It was very hard, as he did not have a screen to see what he actually photographed. 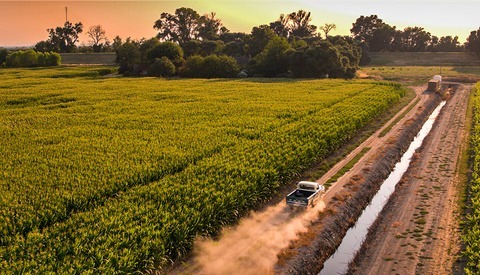 "I had to lock the shutter of the camera with a toothpick in continuous shooting mode before I took off with the drone." Back then, he could only hope for getting a great photo. It did, however, help a lot of the photos were first of a kind. The step into videography came with the Canon 5D Mark II and full HD function. Combining video and drones was only a matter of time. 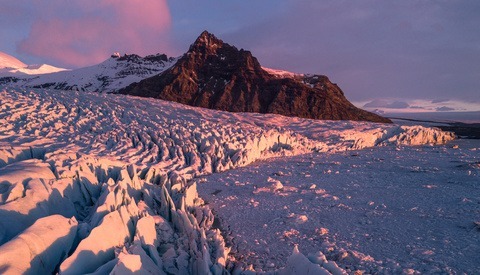 His most memorable experience in the drone videography business was from a BBC project in Greenland in February 2018. 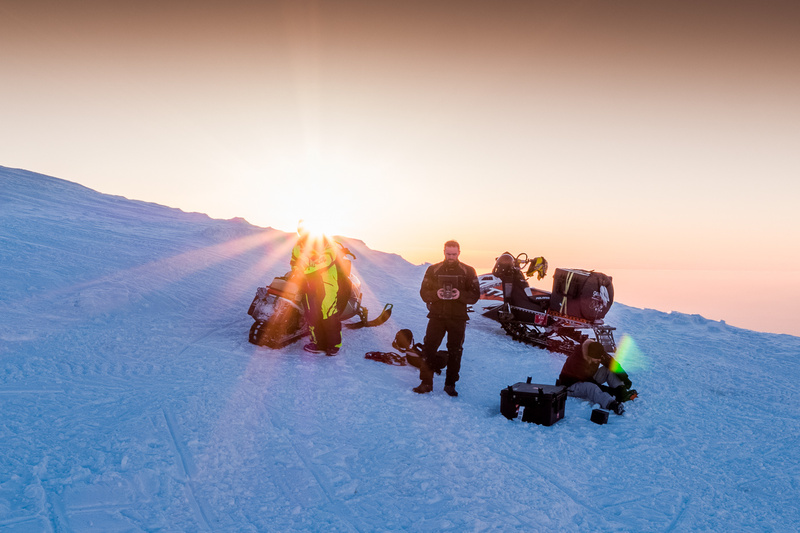 He had to fly the drones in -38 ᵒC for multiple days in the middle of the night. The gear was spread out into eight fully loaded gear cases he had to carry between airports and setup for each location. 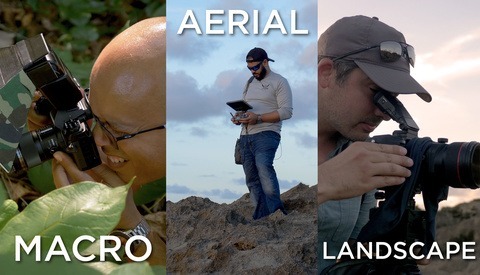 Gear-wise, he has a lot of it: Red Raven, Sony a7S II, a7R II, DJI Inspire 2, DJI Matrice 600, Zenmuse x7, and the Mavic 2 Pro and multiple lens options for every kit. Oli is also a competitive person. One of his biggest motivational factors is to push the limits of what is possible: "If it is not possible, then it gets me all excited to try to get the impossible done." Besides all the great people out there pushing the boundaries for what is possible, Ozzo is also inspired and influenced from everything in his past. His childhood and youth were in the 80s, 90s and 00s. He says he is heavily influenced by pop culture such as sci-fi movies and video games. The cinematography from these movies and series is something he gets a lot of inspiration from in his own work and tries to develop even further. He also adds that there is not long from using a PlayStation controller to using a drone controller. 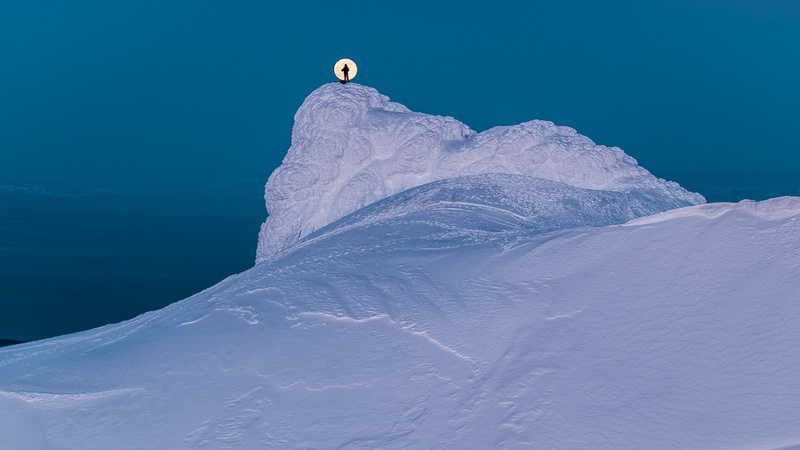 Me posing as "Man in the Moon." Photo by Ozzo. Ozzo is a busy man and has had to turn down many big and interesting projects because of a full calendar. Sadly, he cannot tell us what specific projects, as they are classified. However, as he has worked for the BBC, in the past we know it must be something big. With a full calendar, the future looks bright for Ozzo. As for his future goals, he wants to keep growing and push the limits of what is possible. In the above video, we set out to do something no one had done before. Check it out above, and see how it all turned out. So Cool and incredible view in the world. Thank you for sharing your experience and VDO.